Easily turn on and off Windows features to ensure data security by limiting features which are not needed. 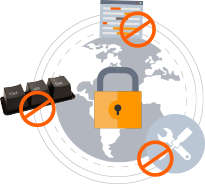 Get comprehensive security from malicious or inexperienced users. Make sure the computer can only be used in the way you intended. Be confident the default home page in a Web browser is the one you set. 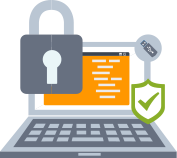 Be confident that your computers are secure, know that computer users cannot install or use malicious files or programs from a remote location or removable drive. Easily apply group policy restrictions without the baggage, learning curve, and undiagnosable failures attendant to the group policy editor. Configure different polices and configurations for accessing your enterprise resources. Simply management with safe, cost-effective, and exceptionally easy to use web based console – even if you aren’t an IT guru. Keep your entire fleet of workstations safe with all managed from one easy-to-use web based console. 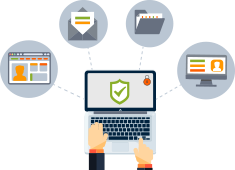 Comprehensive protection for small local businesses to multi-system enterprises with on-site and offsite endpoints.